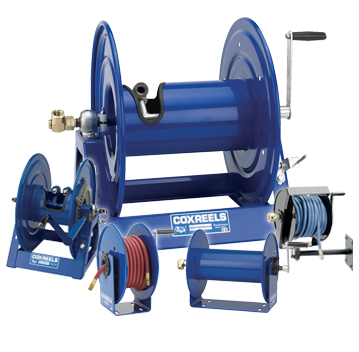 Coxreels is an nine decade, family owned (3rd generation) industry leader in manufacturing hose reels that protect against bends, kinks and punctures to ensure the safety and longer life to the hose. Coxreels produces high pressure hose reels for a variety of applications, including industrial and residential solutions, to accommodate longer lengths of hose with increased stability and less vibration to any operation. High pressure hoses ensure that air or water flow is not interrupted so that hoses operate to their full potential. Coxreels firmly supports quality statements with the 2-YEAR manufacter's limited warranty. 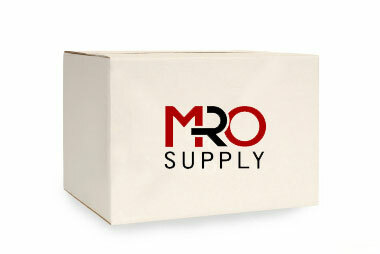 Reelcraft has over 20 years of experience in manufacturing custom built reels. Reelcraft's special engineered products are developed for demanding applications such as marine, military, aviation, hydroseeding, sewer and well cleaning, offshore oil rigs, robotic cable and much more. 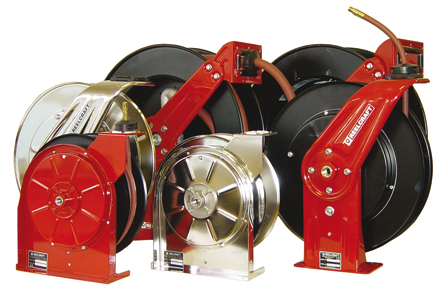 The majority of Reelcraft’s 2500 models of hose reels, cord reels and cable reels deliver air, water, oil, grease and many other types of fluids with the balance designed for welding cables, extension power cords and electric cords. Reelcraft is ISO 9001:2008 certified with a key focus on producing durable, quality products that make hoses, cords and cables more productive. #2516544 CoxReels Coxreels P-LP-350 300 50' P Series 3/8"
#2517428 CoxReels Coxreels 1125-4-200 3,000 200' 1125 Series 1/2"
#2208055 Reelcraft ReelCraft 5650 OLP SERIES 5005 OPEN W/HOSE 3/8 X 50ft-300psi 300 50 5005 3/8"
#2516620 CoxReels Coxreels SH-N-350 300 50' SH Series 3/8"
#2517040 CoxReels Coxreels PC13-5012-A 0 50' PC Series "
#773608 Reelcraft ReelCraft RT650-OLP REELTEK SERIES OPEN W/HOSE 3/8in. X 50ft. 300 PSI 300 50 RT 3/8"
#2208084 Reelcraft REELCRAFT 7850 OLP SERIES 7000 Heavy Duty Retractable Hose Reel OPEN W/HOSE 1/2 X 50ft-300psi 300 50 7000 1/2"
#2516623 CoxReels Coxreels SH-N-3100 300 100' SH Series 3/8"
#2208077 Reelcraft ReelCraft 7670 OLP SERIES 7000 OPEN W/HOSE 3/8 X 70ft-300psi 300 70 7000 3/8"
#2208112 Reelcraft ReelCraft 82100 OLP SERIES 80000 OPEN W/HOSE 1/2 X 100ft 300psi 300 100 80000 1/2"
#2516533 CoxReels Coxreels P-LP-125 300 25' P Series 1/4"
#2208022 Reelcraft ReelCraft 4625 OLP SERIES 4000 OPEN W/HOSE 3/8 X 25ft 300psi 300 25 4000 3/8"
#2208107 Reelcraft ReelCraft 81100 OLP SERIES 80000 OPEN W/HOSE 3/8 X 100ft 300psi 300 100 80000 3/8"
#2208061 Reelcraft ReelCraft A5850 OLP SERIES 5005 OPEN W/HOSE 1/2 X 50ft 300psi 300 50 5005 1/2"
#2517432 CoxReels Coxreels 1125-5-50 3,000 50' 1125 Series 3/4"
#2208074 Reelcraft ReelCraft 7650 OLP SERIES 7000 OPEN W/HOSE 3/8 X 50ft-300psi 300 50 7000 3/8"
#2516622 CoxReels Coxreels SH-N-375 300 75' SH Series 3/8"
#2516548 CoxReels Coxreels P-LP-450 300 50' P Series 1/2"
#2208126 Reelcraft ReelCraft F7925 OLP SERIES 7000 OPEN W/HOSE 3/4 X 25ft 250psi 50 25 F7000 3/4"
#2516626 CoxReels Coxreels SH-N-450 300 50' SH Series 1/2"
#2208086 Reelcraft ReelCraft 7850 OMP SERIES 7000 OPEN W/HOSE 1/2 X 50ft 3250psi 3250 50 7000 1/2"
#2516631 CoxReels Coxreels SH-N-550 300 50 SH Series 3/4"
#2208115 Reelcraft ReelCraft 83050 OLP SERIES 80000 OPEN W/HOSE 3/4 X 50ft 250psi 250 50 80000 3/4"
#2516628 CoxReels Coxreels SH-N-4100 300 100' SH Series 1/2"
#2517281 CoxReels Coxreels E-MP-450 118.11" 5/8"
#2516937 CoxReels Coxreels SLP-575 300 75' SP Series 3/4"